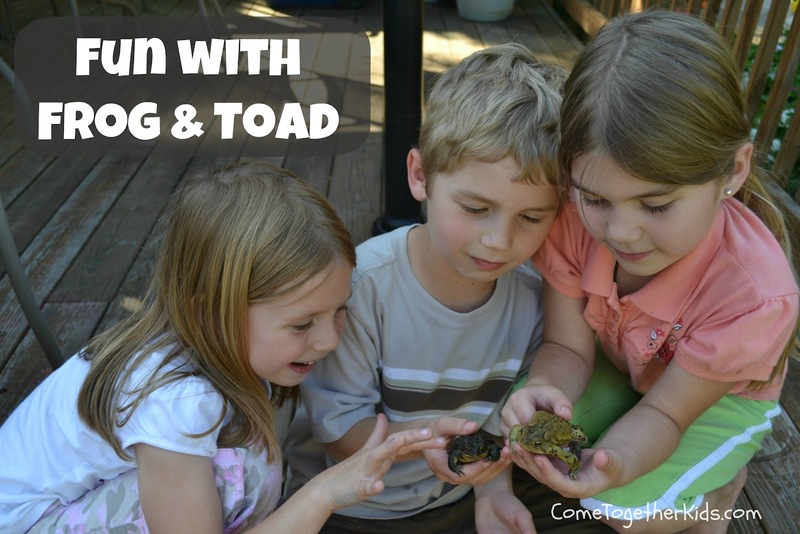 Every night for the past several weeks, the noise from the frogs and toads in our backyard has been growing louder and louder. We have a pool in our backyard and it's amphibian party central as they all come out to talk to their friends and find their soulmate. I'm not joking when I tell you sometimes I have to close the doors and windows in the evening, just so I can hear the TV. This weekend, we took the cover off the pool and worked to turn the water from swamp green to a shade more appealing for human swimmers. In doing so, the kids found several of the nighttime partygoers sleeping off the night before in the nooks and crannies of the pool and filter. They had no problems scooping up the critters and putting them in buckets, empty coolers and containers so they could watch them for awhile. The kids would let them go after a few hours of observations, only to find the same ones back for more fun again the next day. 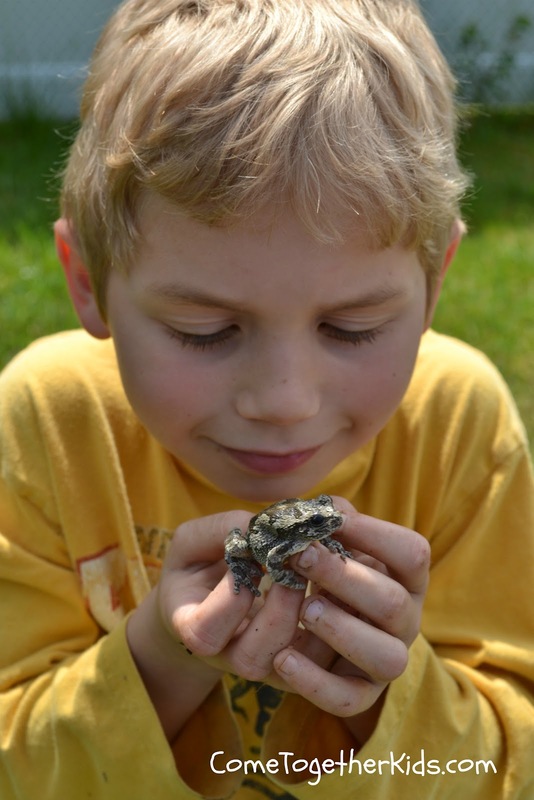 My son gets up close to this little guy. 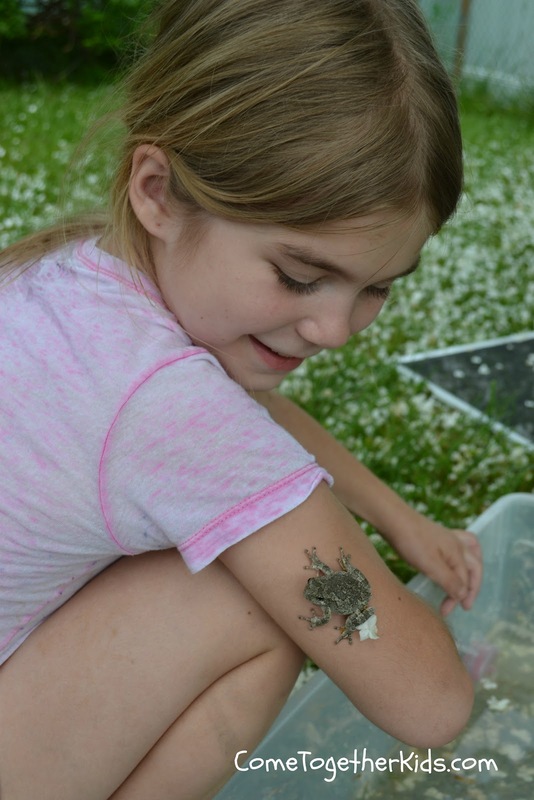 My brave oldest daughter lets a frog hop right up her arm! My youngest was hesitant to touch one, but finally got in on the fun. We found several different types. We think they were all toads, but some were bigger than others, some were jumpier than others, some had different patterns and markings and some even had sticky pads on their feet. 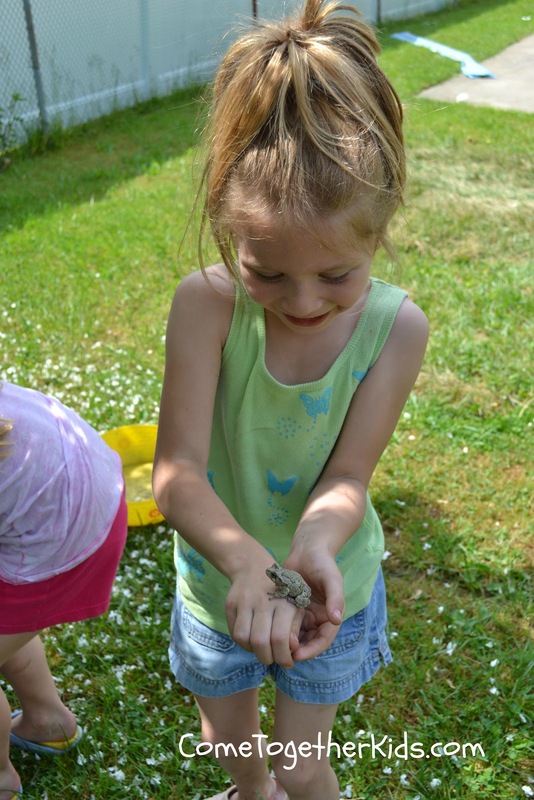 Regardless of their species or classification, the kids had fun and as long as none of their new friends were brought into the house, I enjoyed watching them too! Oh no way! 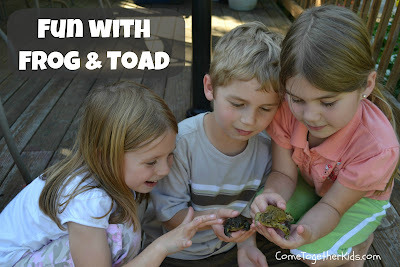 How fun for your kids to catch the frogs! My kids would love that. I think that you need to visit this site for some info on how to write extended essay. Good luck with that. They look so mischievous and so cute.